This is a general itinerary; we can also do any customization as per your requirement. Like reducing number of days, change of date of departure and change of vehicle etc. Please reply to this mail if you need any customization. You will be checking in to a pre booked hotel at Haridwar. Next day we will be traveling for almost 10-12 hours by road. Take out money from ATM today, you may not get a chance to take out money during the trip. ATMs are not available from Govindghat onward. Time 10-12 Hours by road. Start early by 5.00 a.m. from Haridwar to ensure reaching Auli by evening. First Halt will be for breakfast and after breakfast we will have a very short halt at Devprayag (if time permits); the confluence of river Alaknanda and River Bhagirathi which forms river Ganga. Devprayag Confluence of River Bhagirathi and Alaknanda, light green color left side river is Bhagirathi coming from Gangotri and the other one is Alaknanda coming from Badrinath. 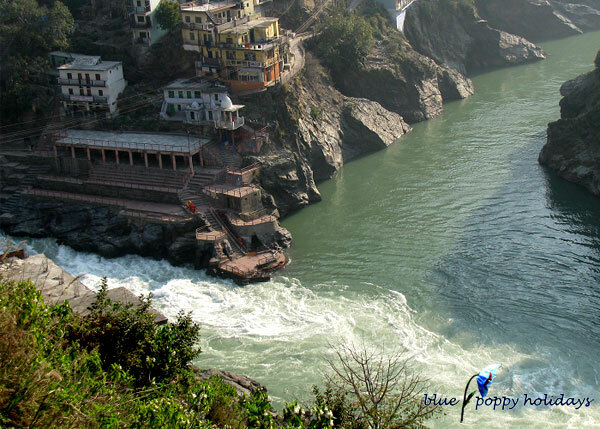 Alaknanda glides towards DevPrayag and blends with River Bhagirathi to give us the Pious Ganga. Ganga symbolizes devotion and faith. Next stopover will be for lunch. We will be passing through Rudraprayag- the confluence of river Mandakini and river Alaknanda. Mandakini comes from Kedarnath and Alaknanda comes from Badrinath. In fact we will be moving along with river Alaknanda for most of the trip (Road journey). We will not stop at Rudraprayag today but we may take a brief halt while coming back form the trip. From Rudraprayag a road separates towards Kedarnath along with river Mandakini. This road journey will end at Auli. Sleep early to get up early in the morning. Following are the pictures of the resort. In case of Non Super Deluxe package instead of Auli Stay will be in Joshimath. Distance 35 km By road and 10 km by trek. Time : One Hour by road and 6 to 8 hours by trek. Altitude Changes : Auli is at a height of 9000 feet and we descend to Govindghat at 5500 feet. Ghangaria is at a height of 10200 feet. We will start early after breakfast and reach Pulna Village by road. Pulna is a small village 3 km from Govindghat. Earlier the trek used to start from Govindghat but now a new road has been constructed between Govindghat and Pulna. From Pulna the trek to Ghangaria and 10 km. You will see beautiful mountains, waterfalls and beautiful river while you trek towards Ghangaria. You can also see beautiful birds on the way. Stay will be in hotels at Ghangaria. 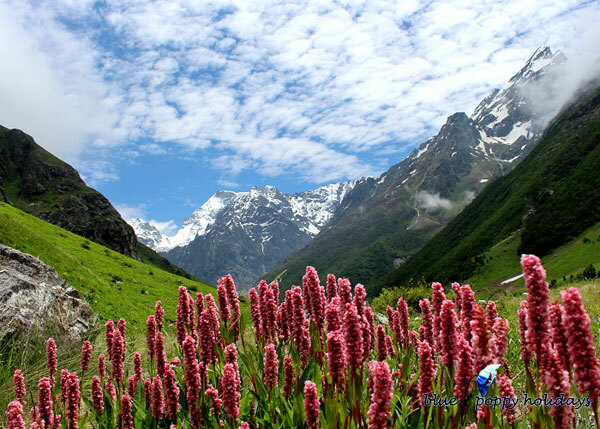 Next day will be your first day to Valley of Flowers. In case of Non Super Deluxe package instead of Auli it will be Joshimath. After starting our trek we will observe a very beautiful waterfall on our right side just in front of Valley of Flowers, check point gate. After taking entry tickets we will enter into the fairyland, 100 meters from there we will cross a beautiful river. (If you are coming before 15th July you will find it half frozen). Soon we will enter into a dense and humid forest filled with beautiful flowers on the way. After crossing a bridge over Pushpawati River the trek will become steep for about one and half kilometer. Once we finish the uphill task trek will be very mild and will be at the same height for the whole day. You should reach Pushpawati River bed today itself. If you can make it beyond Puchpawati River Bed you will reach a very beautiful part of the Valley, see the pictures of that part by clicking on the link below. Valley of Flowers, Pushpawati River Bed. Ghangaria is at an altitude of 10200 feet, you will be going to the top altitude of 13000 plus feet. The second day to Valley of Flowers we will be going to a different area. This area is called Kunt Khal. You can see beautiful bird eye view of The Valley of Flowers from there. Today the trek will be steeper as you need to climb for another 2 km from Baman Daur. Baman Daur is 4 km from the entry gate of the valley. It is recommended that you should opt for this day only when you have good stamina. The trek is difficult for first timers. It is well defined but steep one. You can see different variety of flowers at higher altitude. If you do not want to climb higher you can explore the Valley itself. Night stay will be in Ghangaria. During the trek you may find colonies of Blue Poppies and Brahamkamal. At Hemkund Sahib Gurudwara you will get cooked Pulses (Dal) and porridge (Daliya) as a Langar (free food offered at a Gurudwara). The food will provide you enough energy for your return journey and all your tiredness will go once you have this langar. You may click some photos on the lake and nearby areas. Start back after an hours stay to reach back to village Ghangaria by evening. Brahama Kamal and Bistorta Afinis near Hemkund Sahib. Ghangaria to Govindghat – Badrinath – Mana and back to Auli. Four hours by road and 4-5 Hours by trekking. Start early from Ghangaria after having breakfast on the way to reach Govindghat by noon. After having lunch at Govindghat move to Badrinath and Mana Village. Mana village has attractions for both pilgrims and nature lovers. After having darsan at Mandir drive back to Auli via Govindghat and Joshimath. 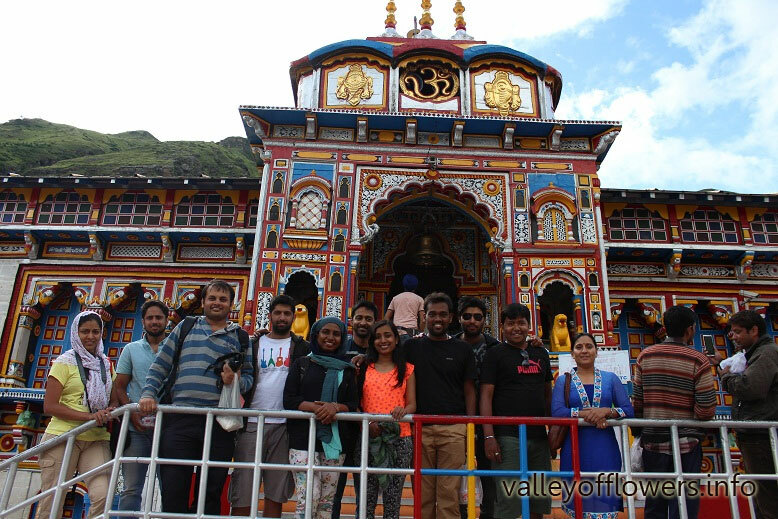 One of our group at Badrinath Temple in 2015. Auli to Gorsan and back to Joshimath. Distance 8 km by trek and 14 km by road. Time 6 hours by trek and 1 hour by road. Altitude changes : Auli (9000 feet) to Gorson at 11000 feet and finally Joshimath is at 6000 feet. After breakfast we will trek to Gorson Peak. It is a mild and very beautiful trek. If weather is clear you can see 180 degree view of Himalayan Ranges. You will see Hathi, Ghoda, Palki, Dronagiri, Kamet, Neelkanth and Nanda Devi Peaks . By evening reach to Joshimath. 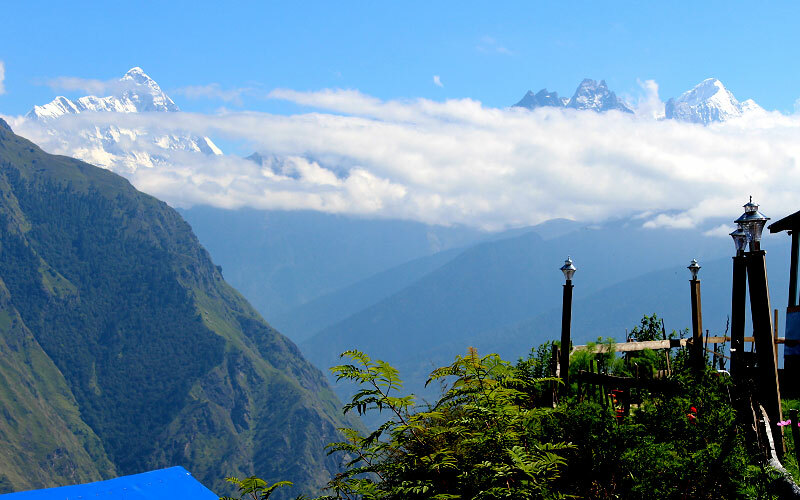 After checking in to the hotel you can visit local temples at Joshimath. Start early form Joshimath by 7.00 am. You can have breakfast and lunch on the way and reach Haridwar by evening. The tour ends here, hope you will enjoy the tour to Valley of Flowers with us. Note: This tour program is indicative only; this can be changed anytime without prior notice. Although we try to stick to this program although due to landslides and other nature related problems we may have to make some adjustments. You need to Pay only 50% of the total amount at the time of booking and the remaining amount shall be paid 15 days before the departure date. Kindly give us a call on +91 9991242759 or +91 9991142759 after transferring the amount, so that we can send you a confirmation mail once the amount is received. We are having three different Plans. Price Per Person. (If you are less than 4 person)(in INR) + 5% GST. Price Per Person. (If you are >=4 person)(in INR) + 5% GST. Economy Plan not available. Plan not available. Stay will be in Premium Hotels. Stay at 4 Star Hotel Regenta / Hotel Golden Tulip in Haridwar. Stay at At Hotel Krishna Palace/ Hotel Priya/ Blue Poppy Swiss Cottage camps / Similar in Ghangaria. 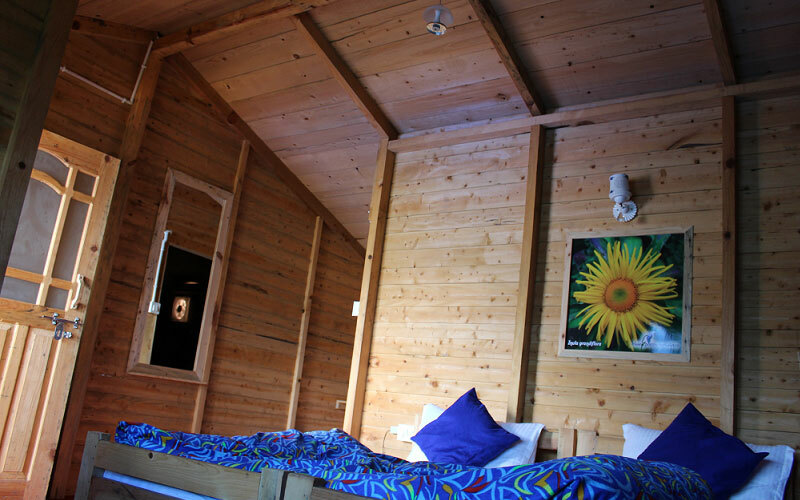 Trip Advisor reviews of Blue Poppy Swiss cottage camps at Ghangaria. Transportation by Tempo Traveler. Maximum 9/10 people will be traveling in 12/14 seat vehicle. No customer will be required to sit on the last seat of vehicle. One Guide will be provided for maximum of 10-12 people. Group discount are also available call or message at +91 999 124 2759/ 9991142759. Rooms will be provided on twin sharing basis. But if you are odd in number at least one room will be provided as triple sharing. If a room is given on single occupancy basis there will be an extra charge of Rs. 9600 (Rs. 1200 per night) for Super Delux. We provide total stay of eight nights, one night at Haridwar on Day 0, two nights at Auli, four nights at Ghangaria, one night at Joshimath/Govindghat. Haridwar -> Joshimath -> Ghangaria -> Ghangaria -> Ghangaria -> Ghangaria ->Auli ->Auli. When you travel by road from Haridwar to Joshimath (Breakfast and lunch) on day 1. When you travel from Joshimath/ Auli to Ghangaria (Lunch). When you travel from Ghangaria to Joshimath via Badrinath (Lunch). When you finally come back from Joshimath / Auli to Haridwar (Lunch). Only 5 meals will not be provided in eight days. Meals will be purely vegetarian only. We may serve eggs on request. If you have any preference please let us know in advance. Porter / Pony cost is not included in the cost. However we can help you in getting one at your own cost. Entry tickets at Valley of Flowers are to be purchased by you (Available @ Rs. 150 for Indians and @ Rs. 600 for non-Indians for a three day pass). This cost does not include cost of any insurance, if you desire to get yourself insured, kindly do it of your own. It is highly recommended that you consult your doctor before coming for the trip. As this trip requires you to visit altitudes like 14000 feet above sea level. You are coming at your own risk. We will not be responsible for any accident during the trek. We are giving our service purely for your hotel booking, transport facility. Kindly do not assume anything extra unless we give you in writing. You need to sign a Disclaimer form after booking. Hotel vouchers will be issued only after that. Kindly read our Cancellation Policy before booking for the trip. If trip gets cancelled due to any reason belyond the control of Blue Poppy Holidays there will NOT be any refund, however we can adjust your amont in next years. The price per person is dependent upon many factors like date of booking, number of people booking at a time. We do not guarantee that all the members in the group are paying the same amount for the same package. If tour gets extended due to road blockage by landslides or other reason we will not charge for the extra stay of vehicle but extra stay and meals are to be borne by you. If you want to save time and continue moving by crossing the landslide area by foot you need to manage your forward journey yourself. We will not be providing extra vehicle from the other side. On day one and last day when you travel between Haridwar and Joshimath guide will not be with you. We will provide you vehicle only during your road journey. Any increase in cost due to any unavoidable circumstances has to be borne by you. For example any increase in trip duration due to landslides, change in location of night halt etc will result in extra cost. 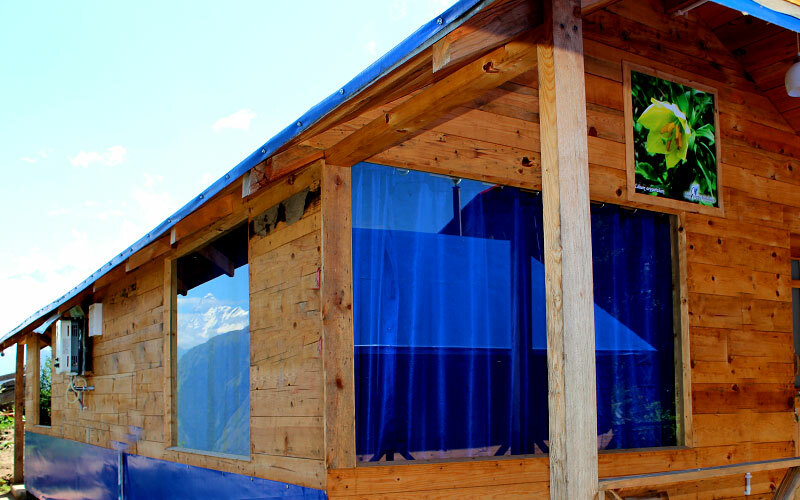 We take hotels on lease at Auli, Joshimath and Ghangaria. Therefore if you get stuck on your way due to landslide, we can not cancel your booking. In such case the hotel cost for that night will be borne by you. Any change in location of night halt due to reasons beyond the control of Blue Poppy Holidays will result in extra cost in terms of meals and stay. There will be no refund in case you leave the group and change your itinerary. Group discount will be waived off if some members of the group cancel the trip. The advance amount share of the cancelling members will be treated as per cancellation policy. In no circumstances the amount will be adjusted with remaining members’ dues. We will issue hotel vouchers 7 days before the departure date. These terms and conditions are subject to change any time, please ask for them at the time of booking again. Stay at Joshimath can be given at Govindghat also. Blue Poppy Holidays reserves right to make this kind of change. In case of any dispute Delhi courts will have jurisdiction. Information about the trek, availability of Ponies/ Porters/ Helicopter with trek pictures. 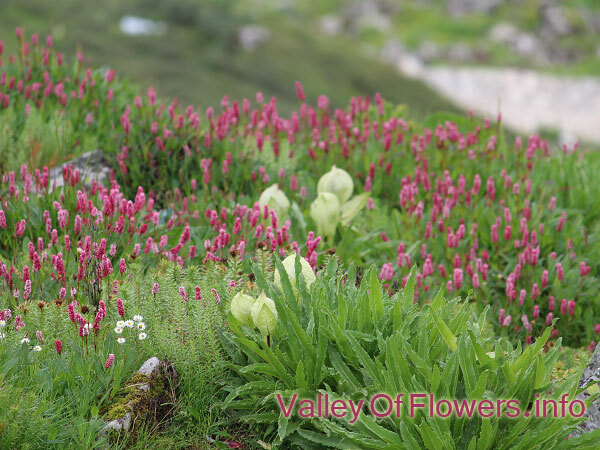 Thank you for showing interest in coming to Valley of Flowers with us. We are getting one question almost daily that our tour package is costlier than some other tour operators. We looked in to the matter seriously and found some serious differences in our services and those cheaper packages. Please go though the following content carefully to make a wise decision. Following are the main differences of the trip conducted by us and other tour operators. Transportation: We provide transportation by Tempo Traveler and keep it exclusively with us for the trip. They provide Tata Sumo or Bolero with too less leg space in them. Remember you need to travel for almost 12 hours on day 1 and on last day by this vehicle. Moreover the road conditions are not so good so a small vehicle will have more bumpy rides. They put in minimum of 6 people in one such vehicle where we take maximum of 9/10 passengers in a 12/14 seat vehicle. No customer will be required to sit on the last seat of vehicle. All the seats in tempo traveler will be push back. We can provide Toyota Innova or other vehicle also on request, at some extra cost. Stay in Haridwar: As we start from Haridwar very early in the morning, so you need to reach Haridwar a day before the start of the trip. So we provide stay in Haridwar in a three / four star Hotel (Depending upon the package taken) where as they do not provide any stay in Haridwar. There will be cost for this as well as lot of inconvenience for you, as you need to reach a common pick up point. Whereas we will pick up from the hotel itself, it will be more convenient. Total number of Nights Our package is of 8 nights and 8 days and they provide stay only for 5 nights. Their package is incomplete. This package includes everything that should be covered in this area. Excellent Quality Meals: We provide you excellent meals; quality will be at par with a good restaurant in a metro city. Our customers always compliment us for our quality meals. An extra Day in the Valley of Flowers: We take you to the valley for 2 days instead of just one day. It is very important as you cannot come to this place so frequently and definitely want to finish it in one trip only. We do this as a passion not just for money. We take you to the deeper parts of the valley in our second visit. Interestingly most of the people visiting Valley of Flowers are happy seeing a little part of it as they do not know what they have missed. Please see our deeper parts gallery. You will not find these pictures in any of the other websites. We will take you to a new trek in the Valley which has been constructed this year only. You can see bird eye view of the valley from there. 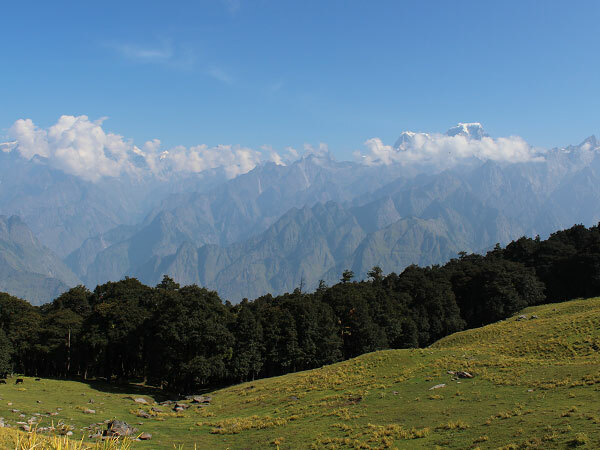 Auli included and stay at Auli for two night.We take you to Auli and give you stay at Auli for one night in excellent quality huts. Trek to Gorson Peak from Auli is very beautiful. 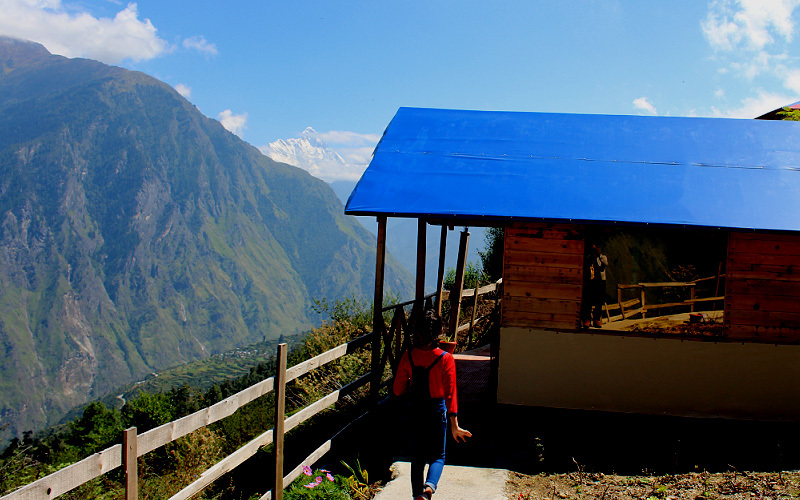 It will be very relaxing and nice experience staying at Auli. Please check the pictures of Auli and Gorson Peak Here. and TripAdvisor reviews of Gorson top here. 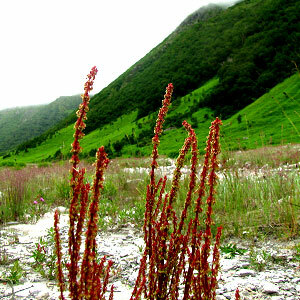 We are the Expert:We are the expert for the Valley of Flowers and do this trek only. The funny part with them is that they even do not have real pictures of the valley to put on their website. Some of them have put fake pictures on their website ignorantly. How can you expect them to show you the valley in a way you should see? Complimentary App We have developed a beautiful mobile app to help you recognize the flowers in the Valley of Flowers and nearby areas. The app will work offline. All you have to do is to click on the circle resembling the colour of the flower you want to know about. You will be shown a list of flowers. You can again click on the desired flower to know more about that flower. The App is exclusively for our customers only.